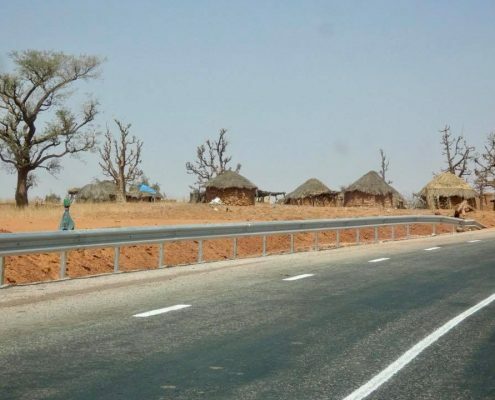 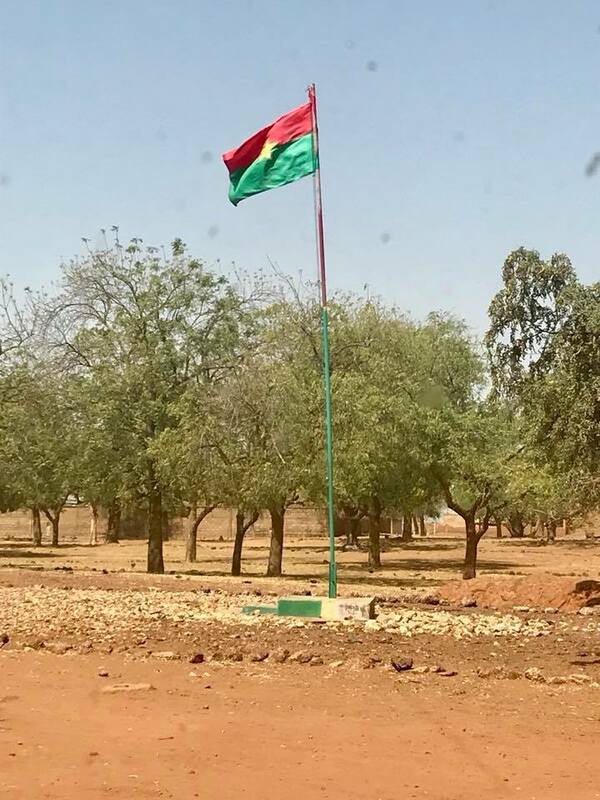 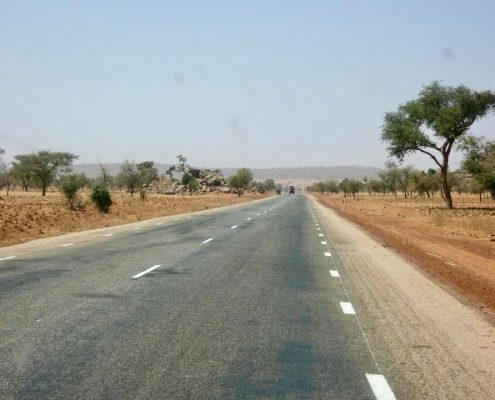 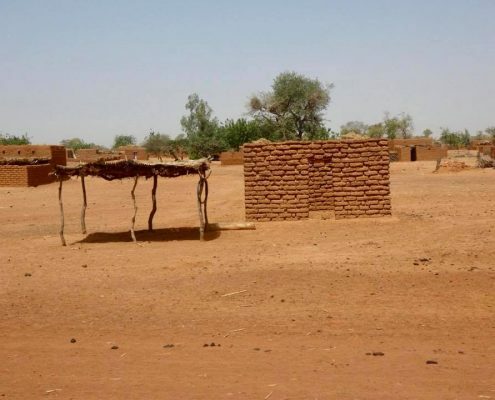 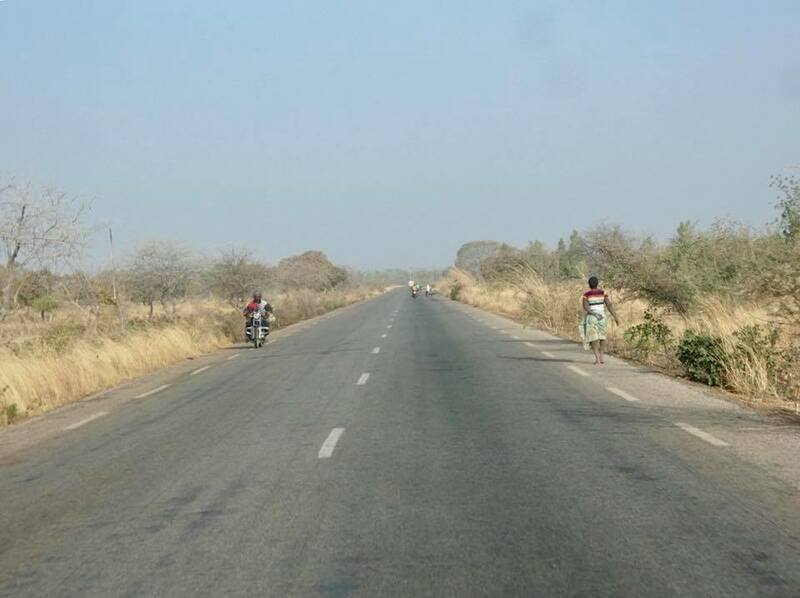 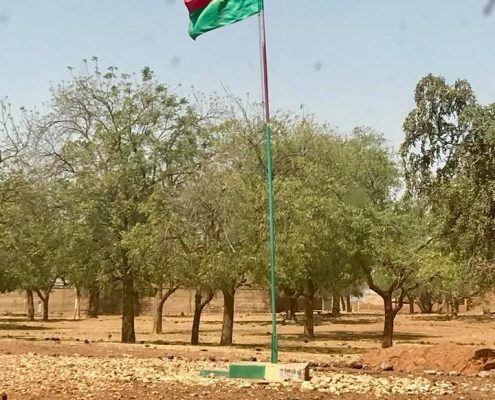 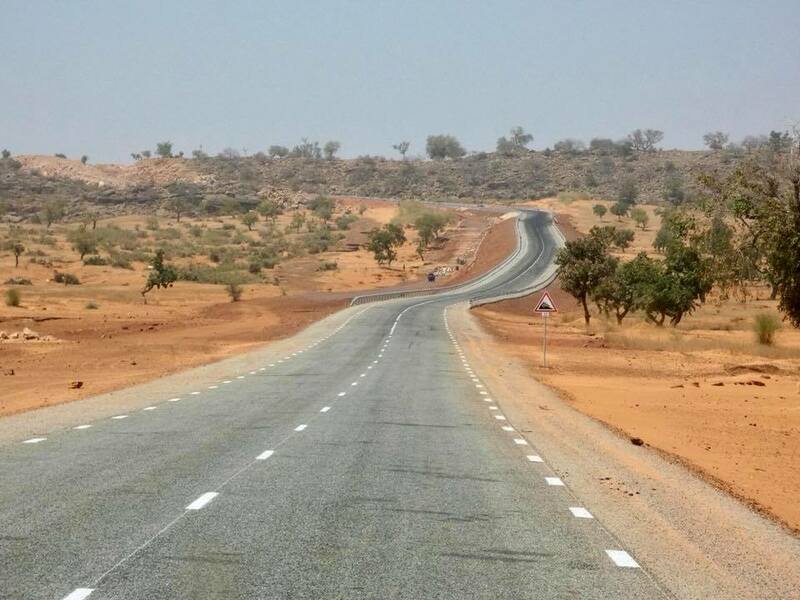 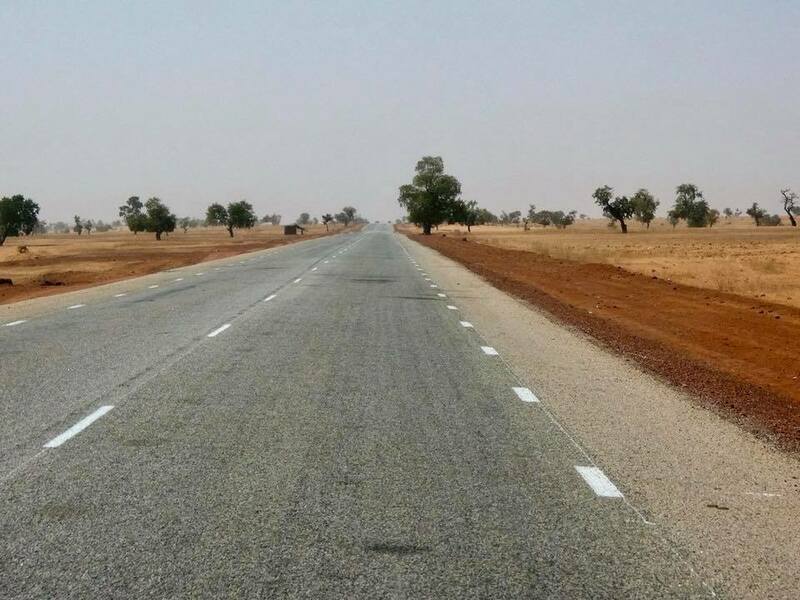 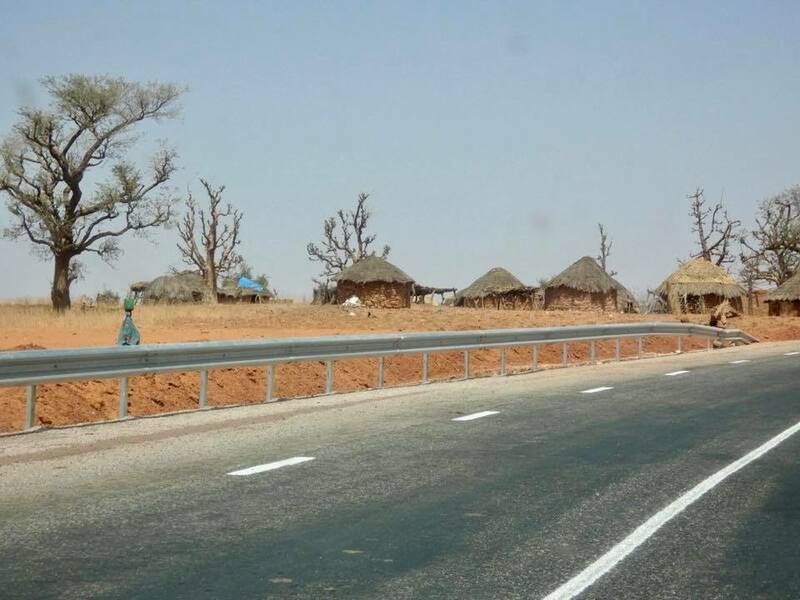 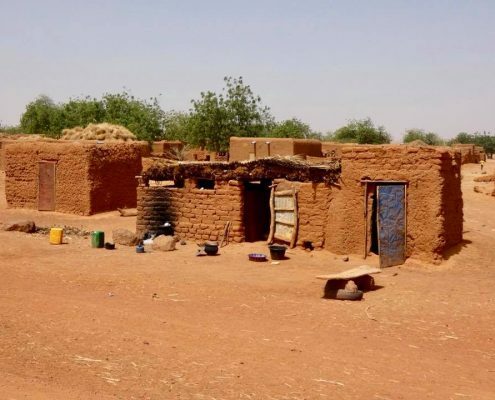 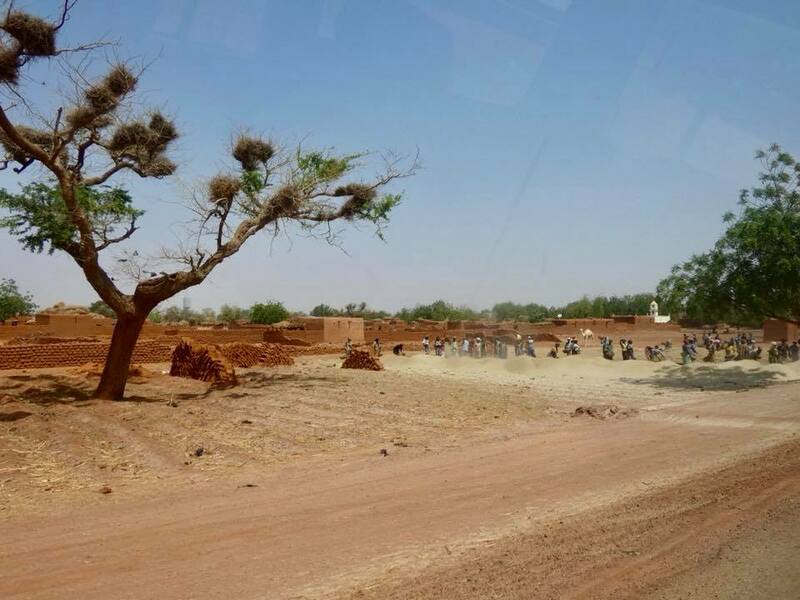 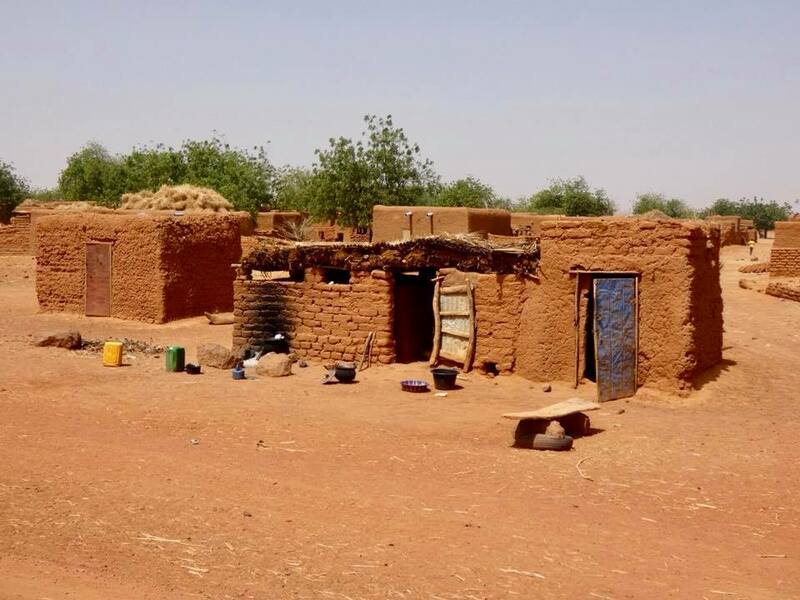 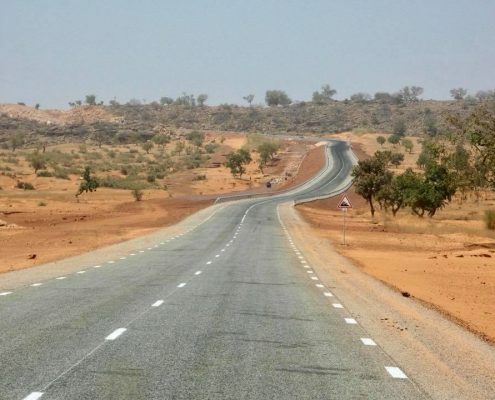 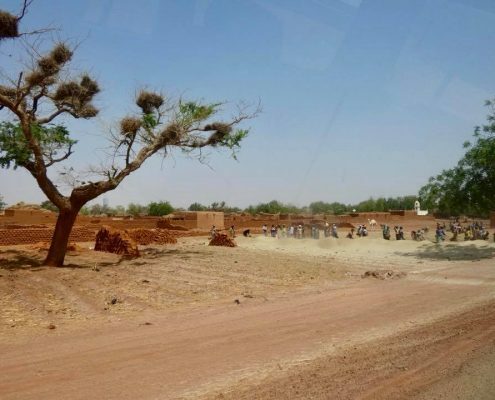 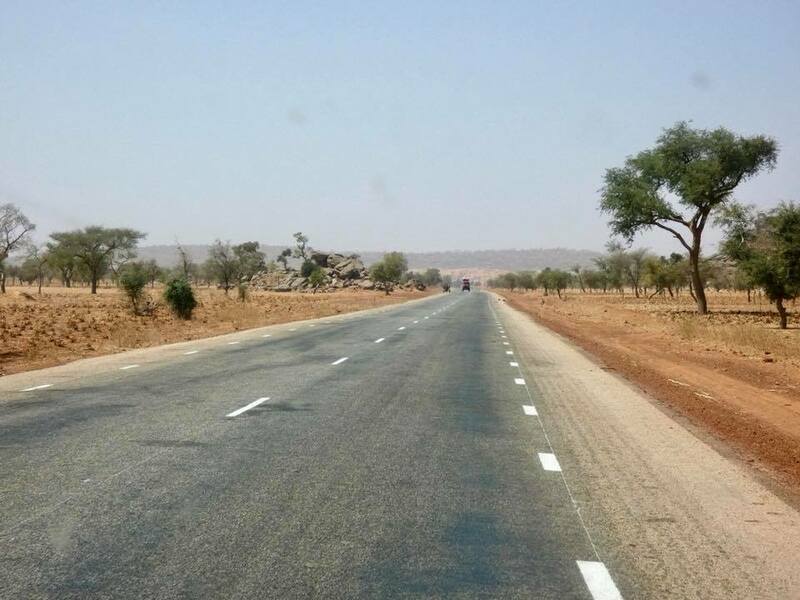 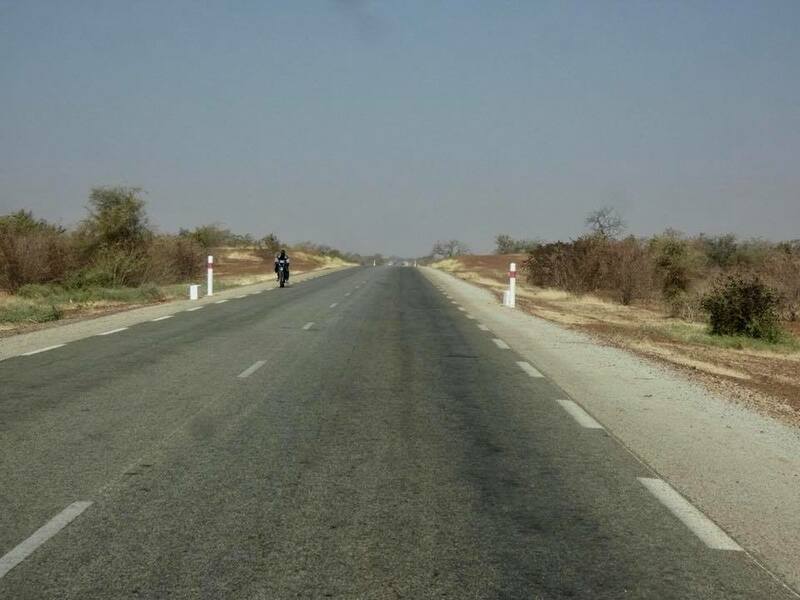 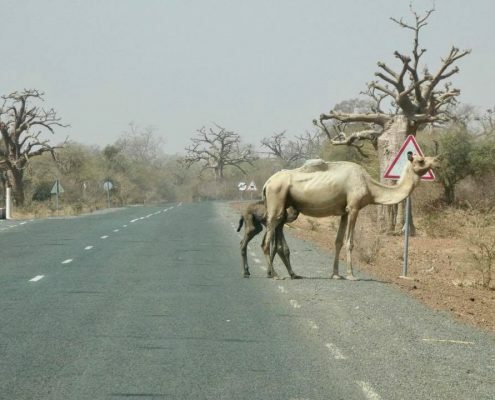 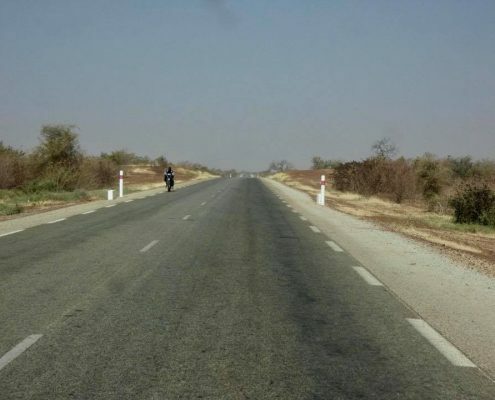 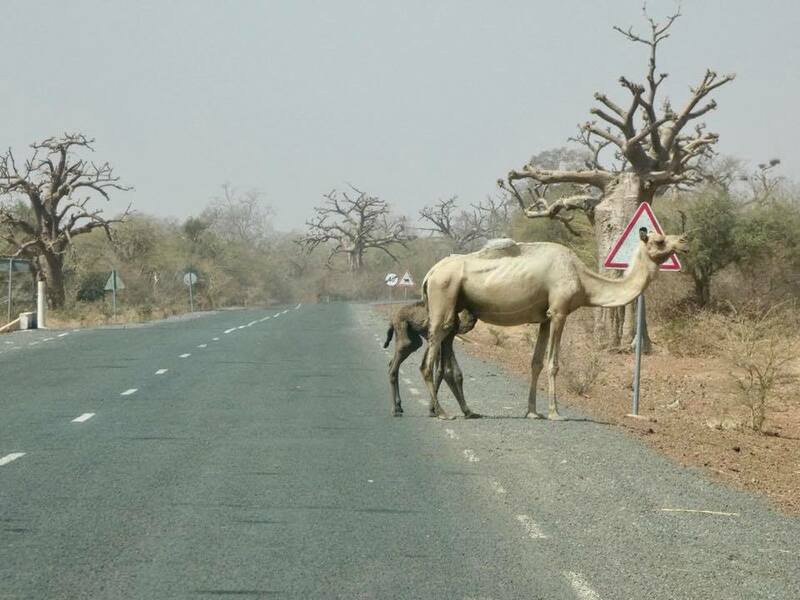 The road from Ouagadougu in Burkina Faso to Mopti in Mali is a long 8-hour drive through northern Burkina and central Mali. 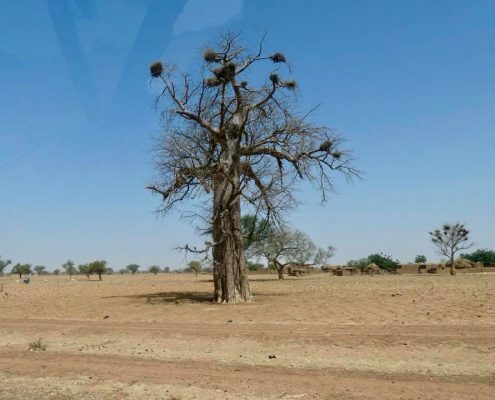 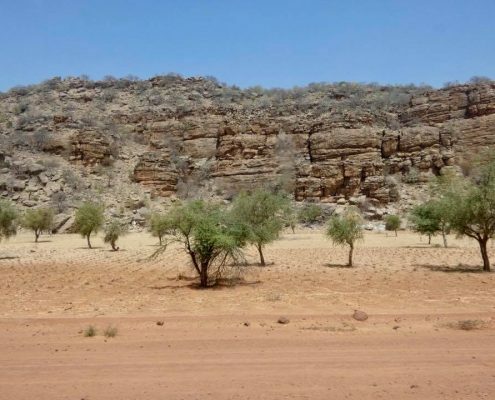 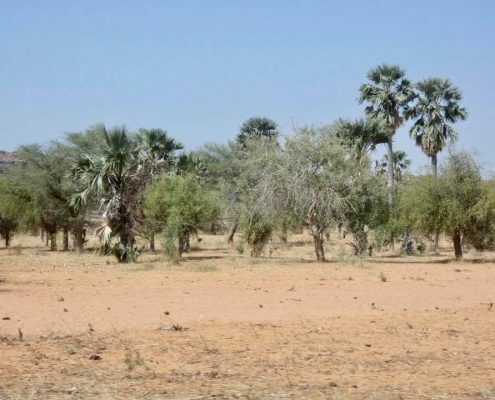 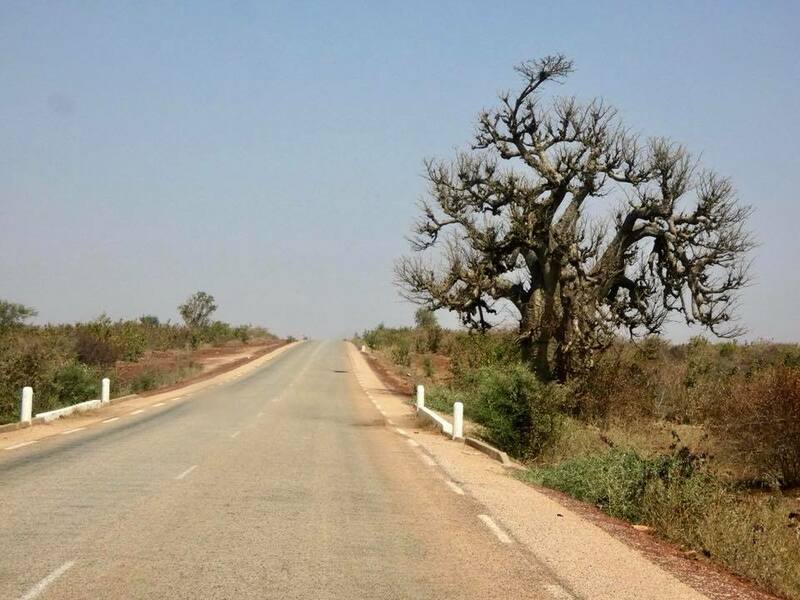 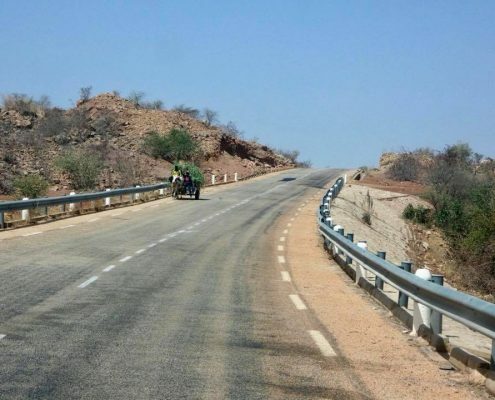 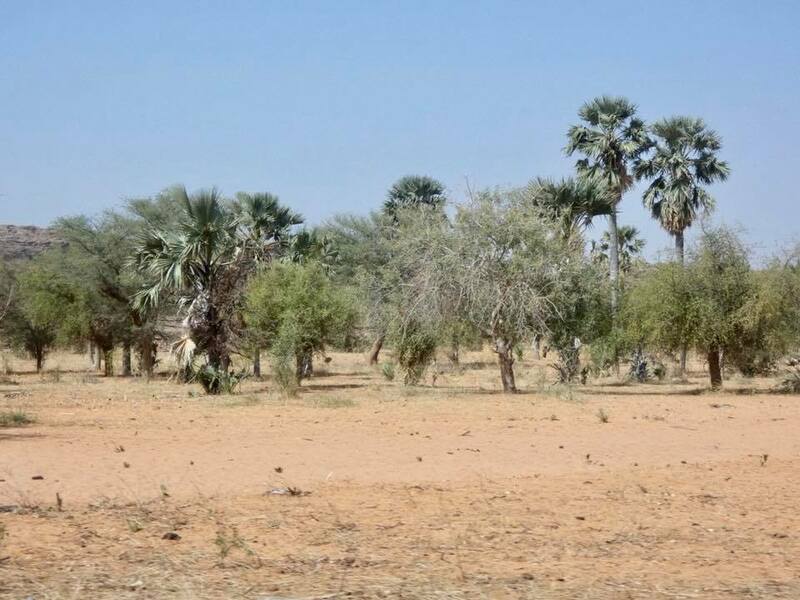 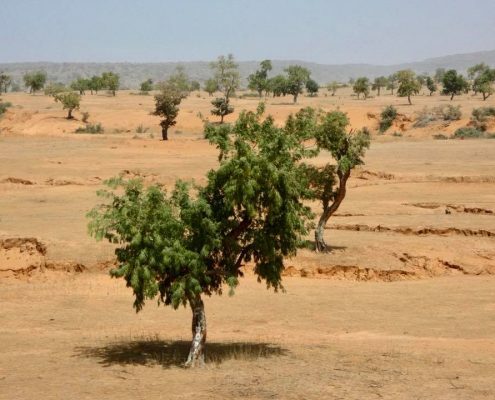 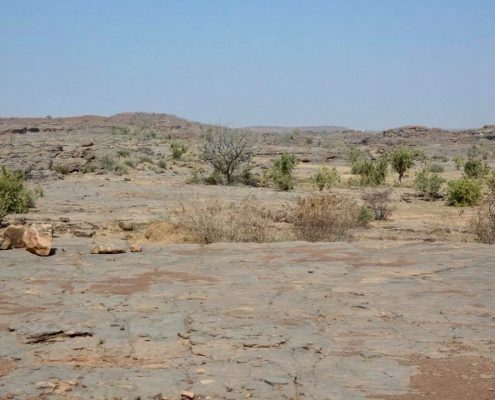 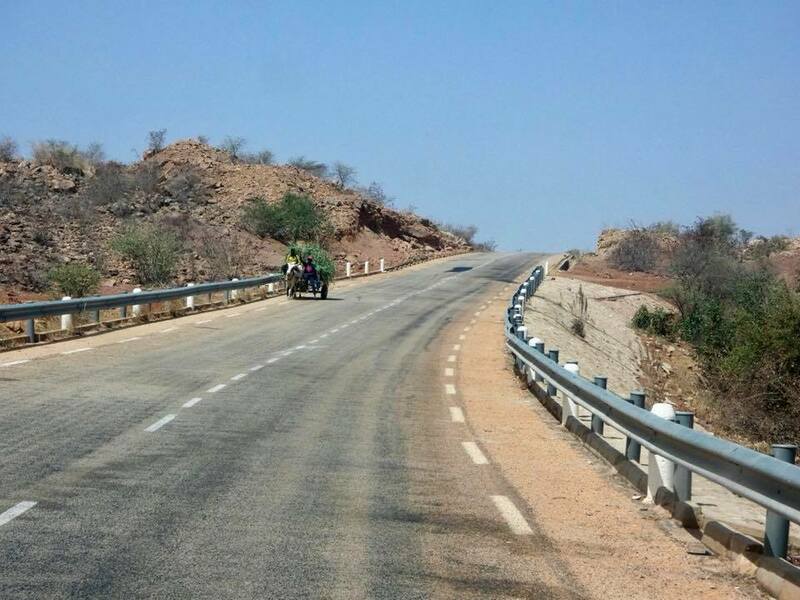 The road is in fairly good condition and the scenery along it gradually becomes more and more sandy and deserty with massive baobab trees dotting the landscape all along. 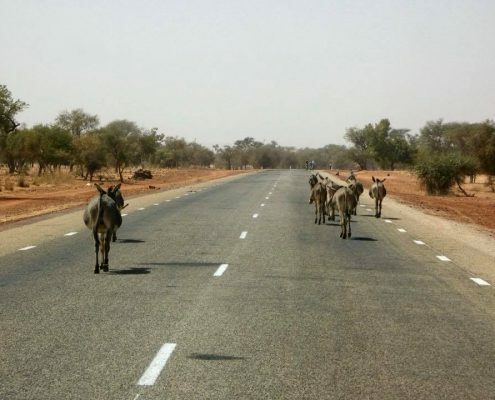 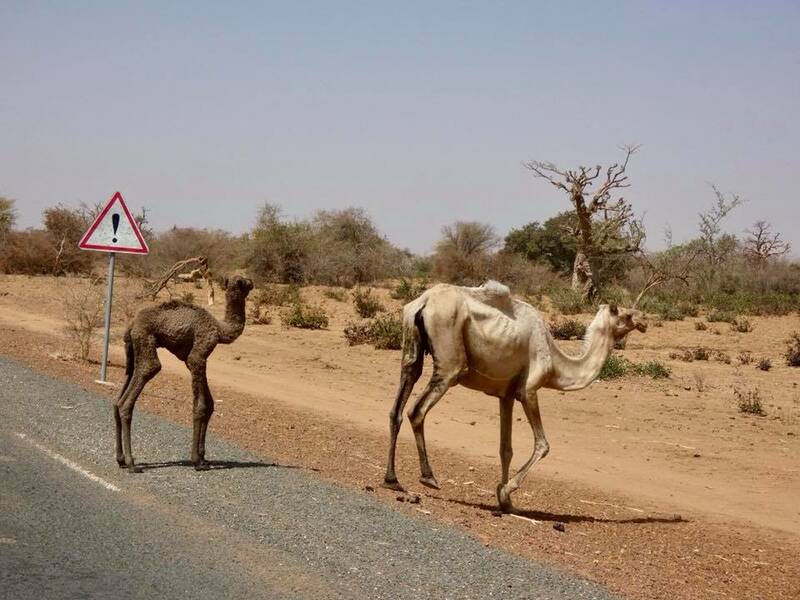 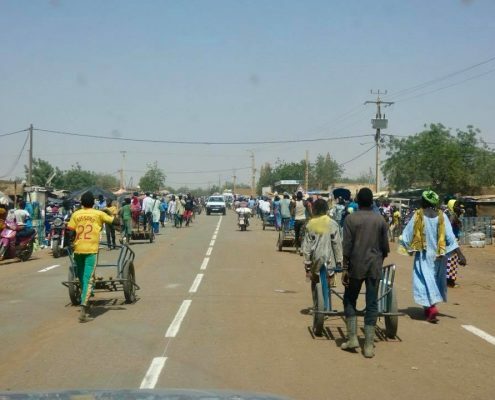 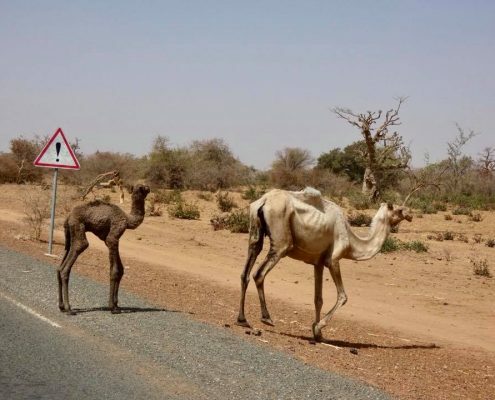 Pedestrians, bikers, cattle, camels, donkeys – all share the road, as door trucks overloaded with goods and people to the point of near-tipping over. 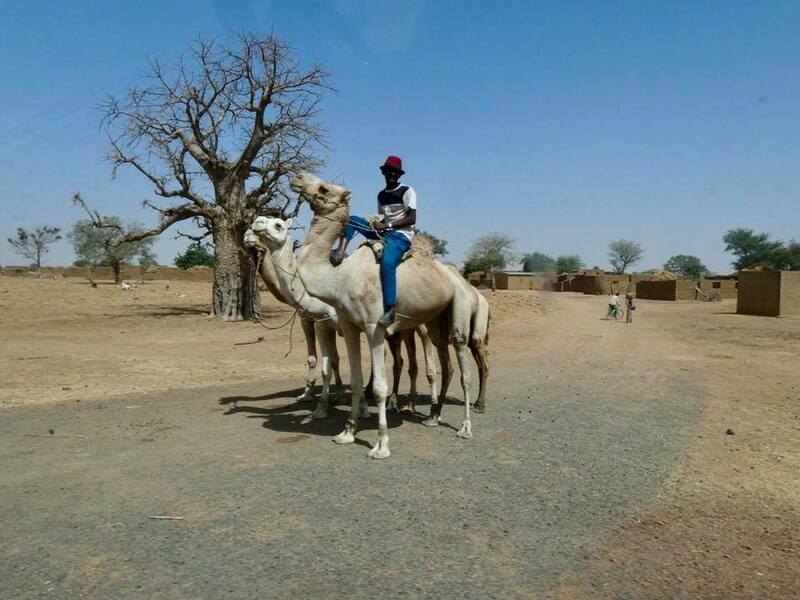 A couple busy towns and many traditional villages complete the journey. 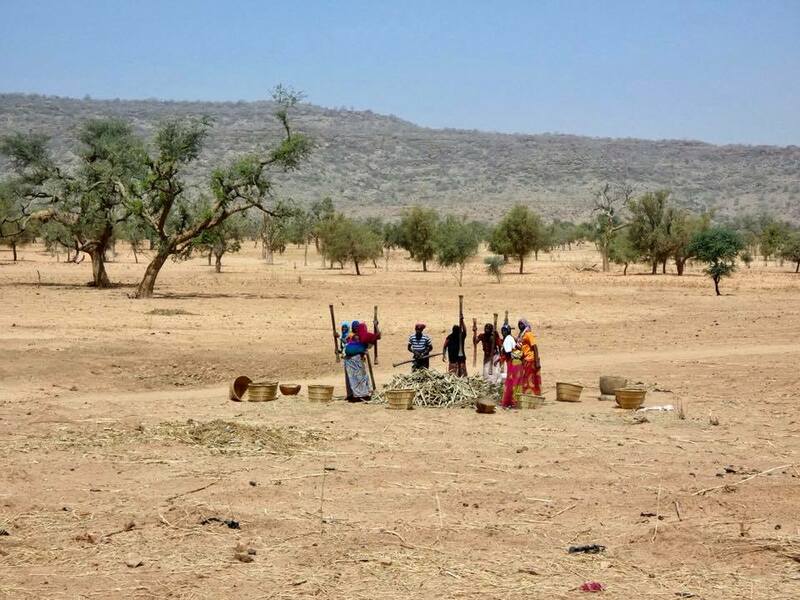 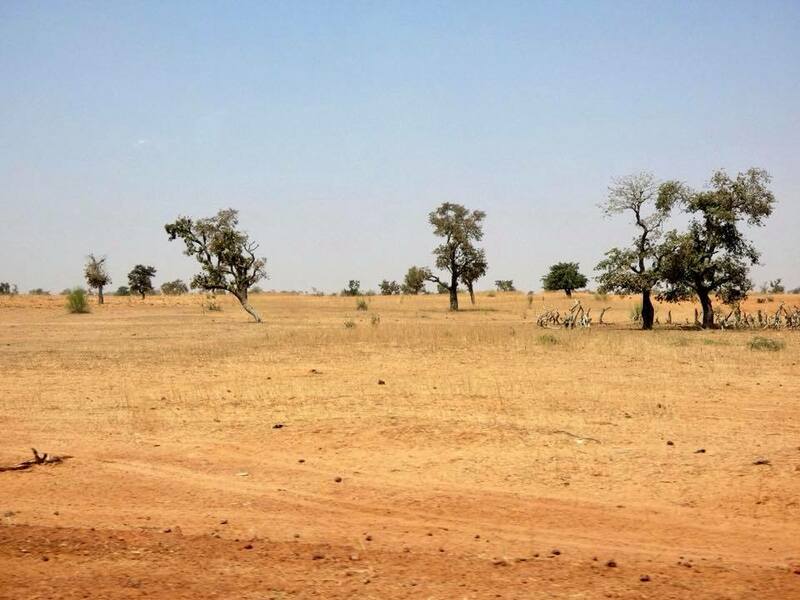 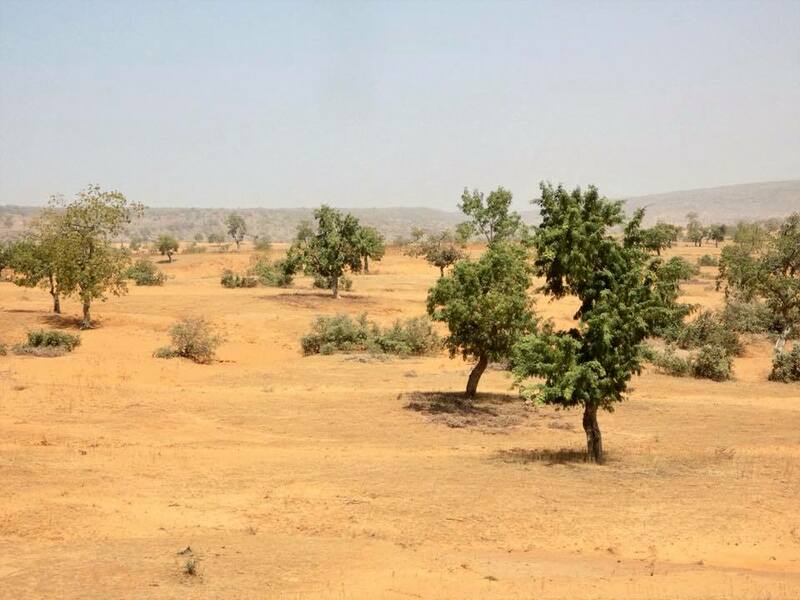 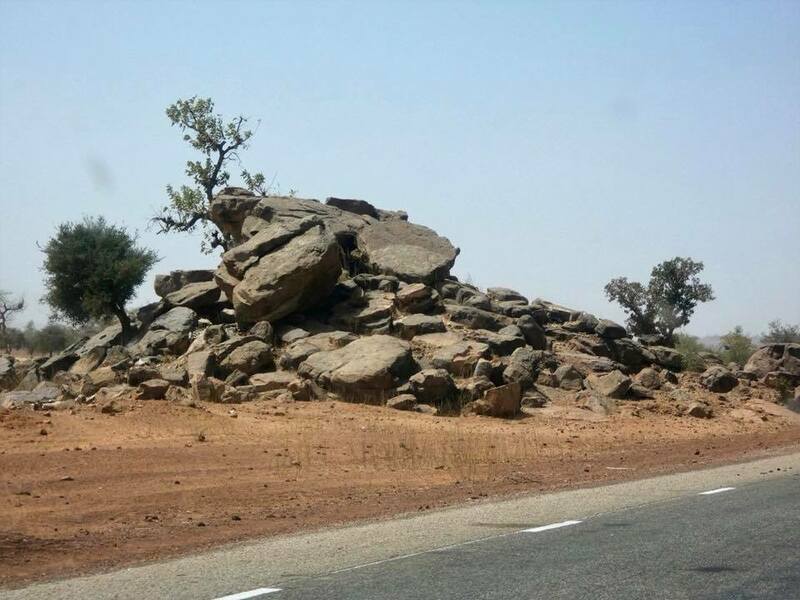 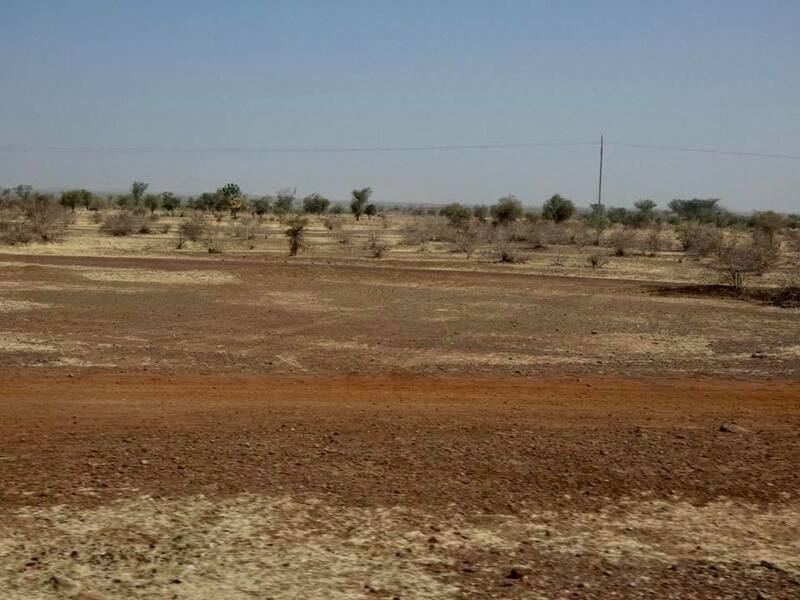 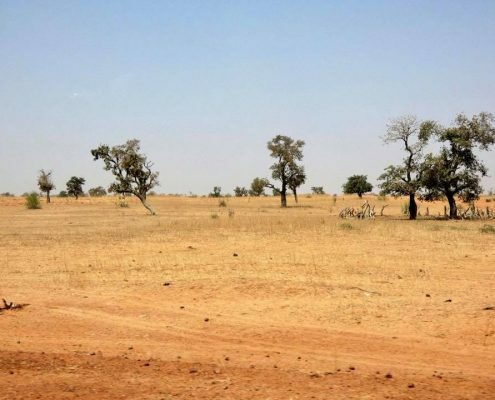 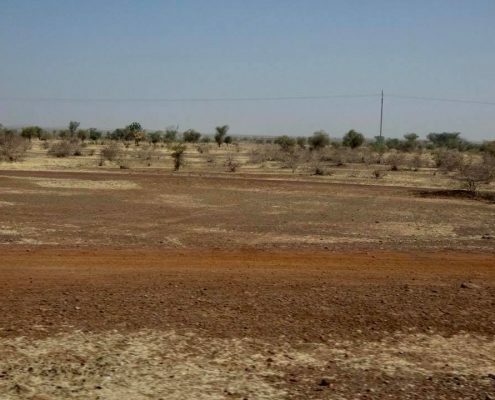 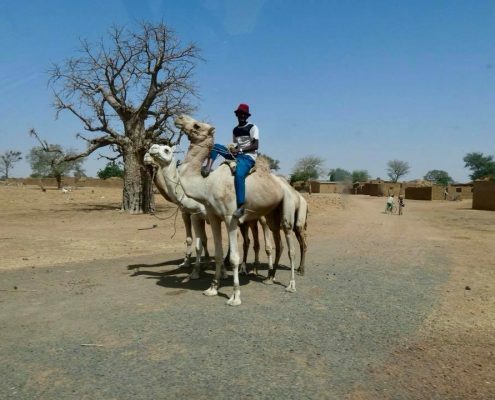 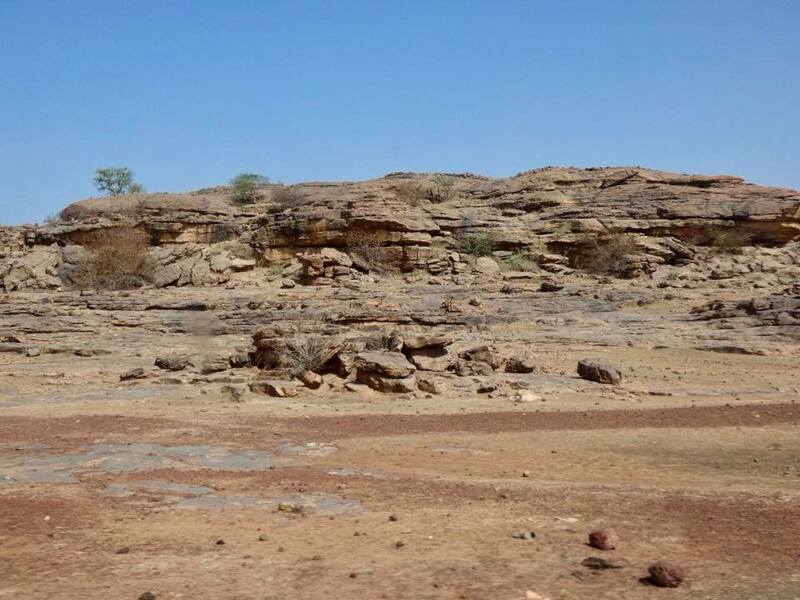 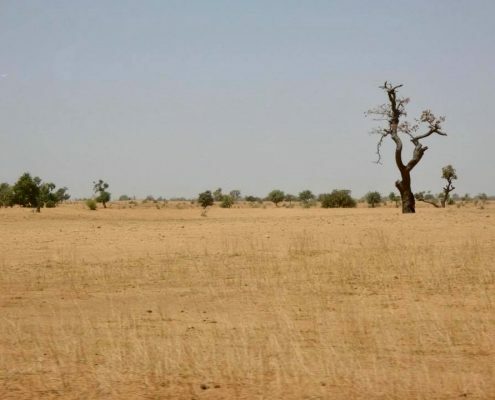 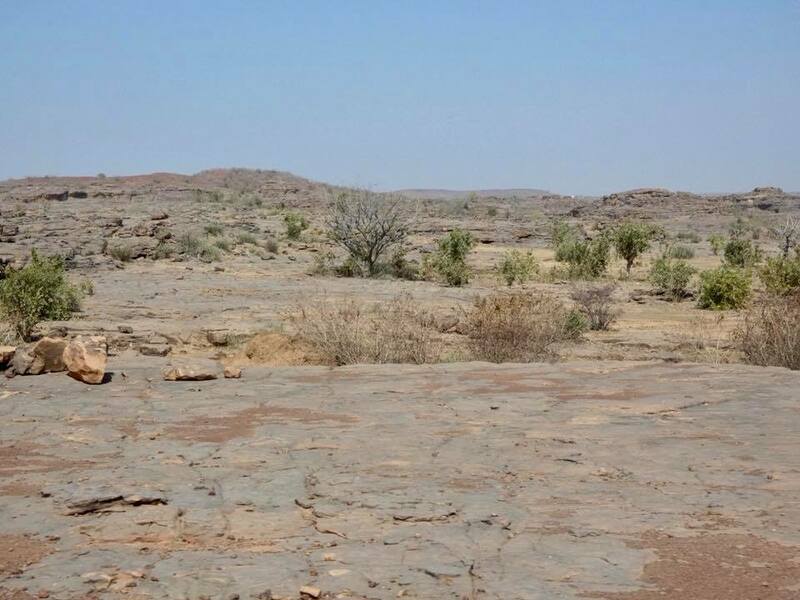 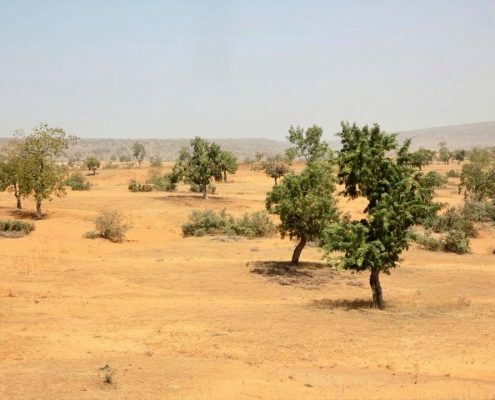 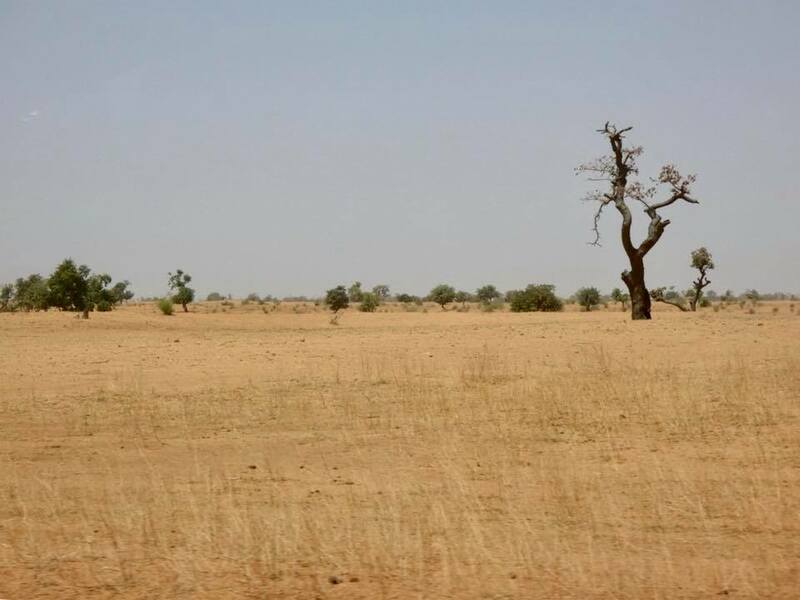 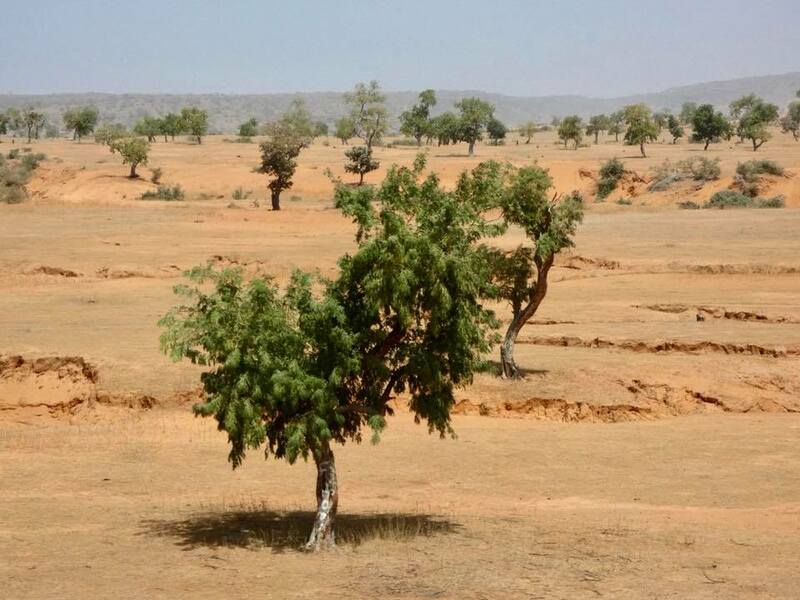 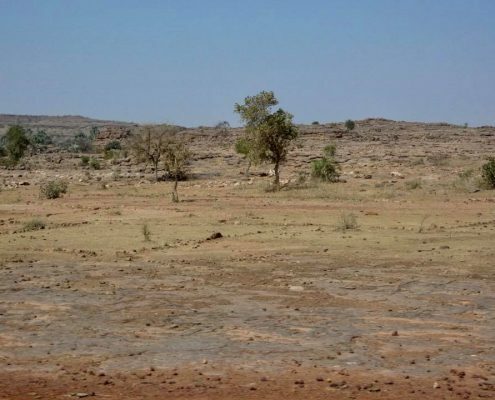 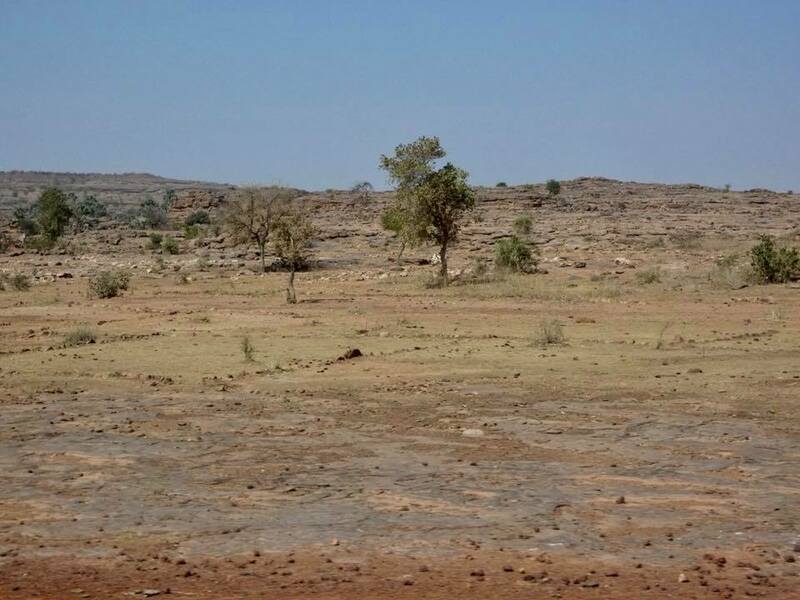 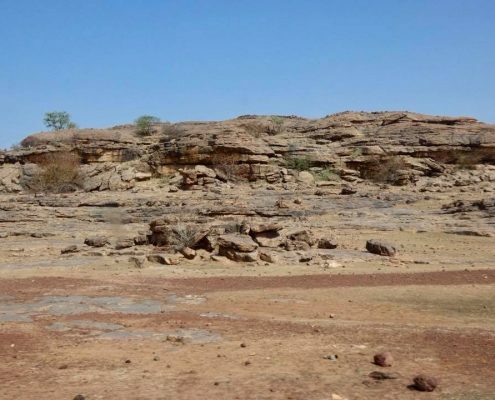 In Mali, the route skirts the Dogon country plateau.